It was a few weeks ago on an episode of Saturday Morning Arcade LIVE, that I voiced what I was wishing to see out of the upcoming Alice Madness Returns. Since EA and developer Spicy Horse Games had previously only released teasers and concept art, no one was sure how it would actually play. 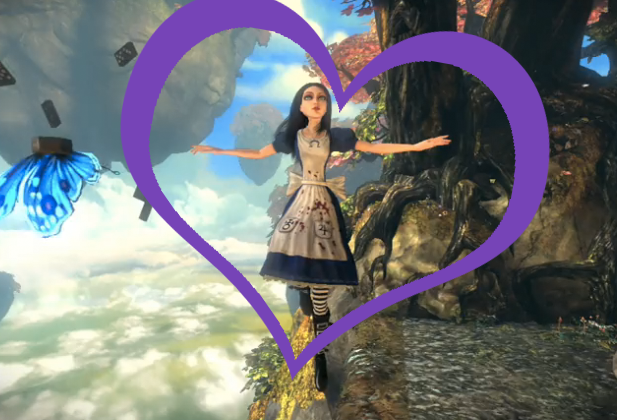 The original, American McGee's Alice, came out roughly a decade ago and was a mixed bag of both platforming and combat. If they kept those two same elements, I was hoping that it would play like a better Dante's Inferno. Seeing as the genre of action games has had its bar raised highly by the likes of God of War, Devil May Cry and Bayonetta over the past years, it would be the hope that the game would utilize the genre's modern sensibilities of today. Maybe a more fair comparison would have been akin to Prince of Persia due to their combat platforming nature. Maybe the Dante's Inferno comparison came out of the fact that that game was another adapted work. I don't know. Regardless, I should quit my rambling. It looks like my hopes have been answered as today actual gameplay footage of Alice Madness Returns has hit the web courtesy of IGN. Right off the heels of the Game Developers Conference, Alice had a nice little presence during the week long(ish) event. Not only was the release date announced (June 14th), but gameplay demos were on the floor showcasing what kind of game players can expect this summer. The combat definitely looks more action focused while the platforming plays with some interesting mechanics (also, butterfly dodges are the best dodges). There was also a new trailer to top everything off. While a lot of the different weapons, enemies and environments were shown, the thing that I was most stoked for was her various costume changes. What the hell is wrong with me right? My overall impressions of what I saw, you could probably guess. 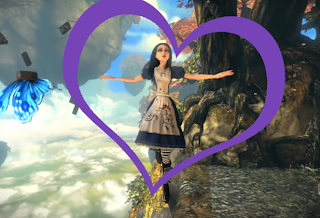 Alice Madness Returns has now claimed top spot on my list of most anticipated games for the year, and you can bet that I'm going to make a fuss about it on every episode of Saturday Morning Arcade LIVE until release, and then some. My apologies in advance. Not really. You can check out all the footage over at IGN. There's also a YouTube embedded version of some gameplay footage after the jump.